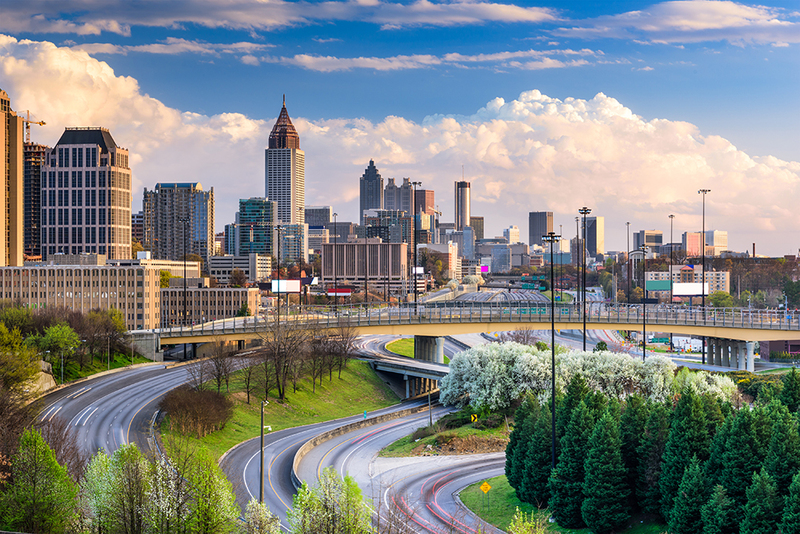 Chili dogs, kid-friendly fountains, and historic sites: Atlanta is like a southern dose of home for 513 dwellers. Atlanta will always feel like home to me. I was born downtown at Northside hospital in August 1995. Four years and a few months later my family migrated 660-some miles north to a small town just outside of Toledo, Ohio. I’ve since visited the Peach State countless times. And while I plan on returning to the ATL for good someday, moving to Cincinnati for college meant I was 200 miles closer. Now five years into my extended Queen City stay, I’m starting to realize just how similar my two “homes” are. Home to the world’s largest drive-in fast food restaurant, Atlanta likes its chili dogs almost as much as Cincinnati. Except without all of that spaghetti nonsense. 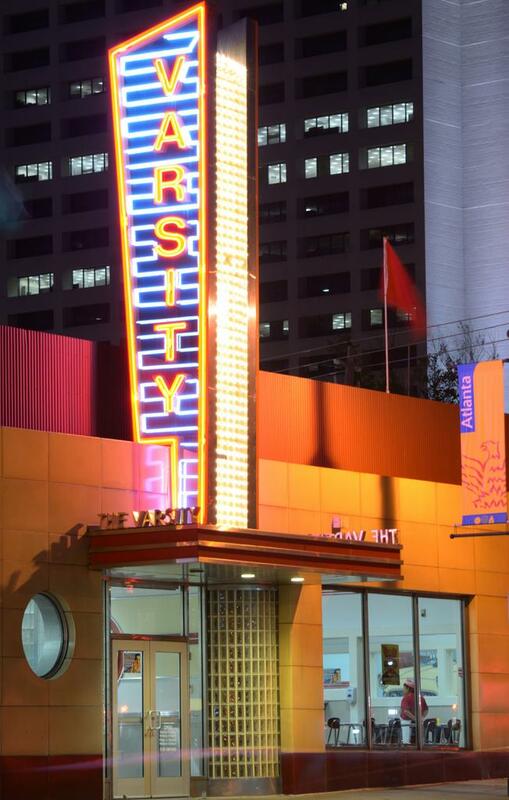 You can grab one of these southern-style dogs at The Varsity on North Avenue. Opened in 1928, the two-city-block-wide retro-style diner can hold a whopping 800 patrons inside and accommodate 600 cars curbside. For the true Varsity experience, wear the free red paper hat and learn their lingo. They’ll ask, “What’ll ya have?” If you answer “hot dog,” you’ll get a dog with chili and mustard. If you want a plain hot dog, order a naked dog. Just ketchup? Try red dog. My go-to is a heavy weight all the way with a side of strings and maybe even ring one if I’m feeling ambitious. Translation: One hot dog with onions and extra chili, a side of French fries, and an order of onion rings. (Can you tell I like onions?) If you’re more of a burger person, they sell those smothered in chili, too. Wash it all down with an F.O.—a shake made with vanilla ice cream and their homemade Varsity Orange drink—they call it Atlanta’s favorite milkshake. If you’re a fan of the fountains at Washington Park, the Fountain of Rings at Centennial Olympic Park won’t disappoint. Just a mile walk from The Varsity downtown, the interactive fountain featuring the Olympic Rings spans more than 80 feet. And just like the fountains at Washington Park, the rings dance to synchronized music and lights four times a day (12:30, 3:30, 6:30, and 9 p.m.). On a warm summer afternoon, this means a free outdoor water adventure for the kiddos. The 21-acre park also boasts plenty of green space for picnics, dog walking, and music festivals like SweetWater 420 Fest (rock) in April and Shaky Knees (indie) in May. 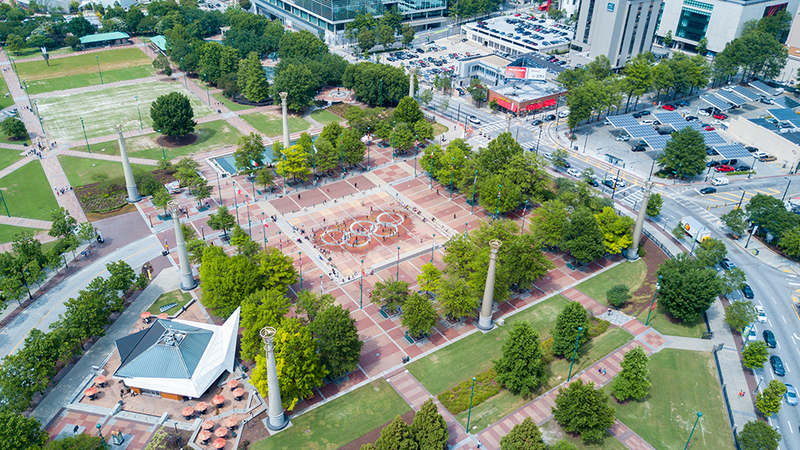 Complete the experience with an audio walking tour covering the park’s legacy—the Atlanta Committee for Olympic Games built the park to serve as a gathering spot for spectators of the 1996 Olympic Games and later repurposed the space for daily public use. You can learn about Civil Rights heroes like Martin Luther King Jr. at the National Underground Railroad Freedom Center in Cincinnati. 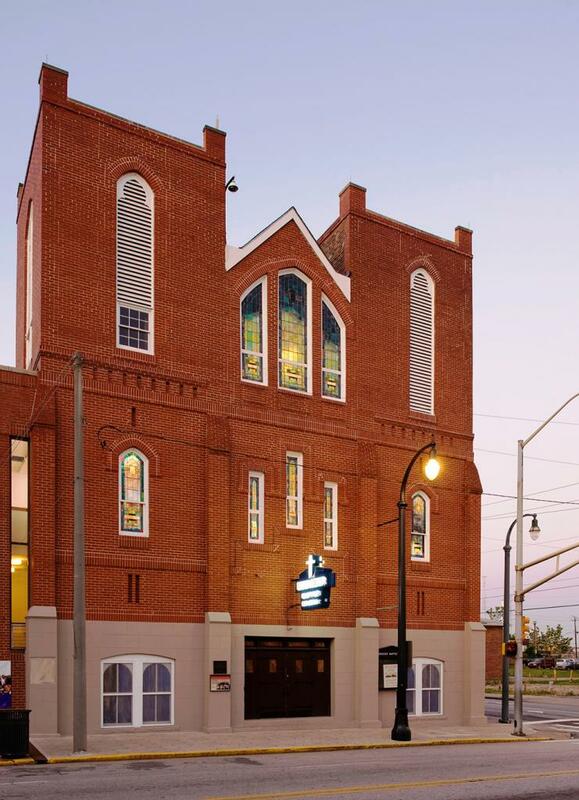 In Atlanta, you’ll get a closer look at the leader’s legacy by visiting the Martin Luther King Jr. National Historical Park—just a 1.5-mile walk from the Fountain of Rings. Schedule a free ranger-led tour of the home where King lived for the first 12 years of his life. 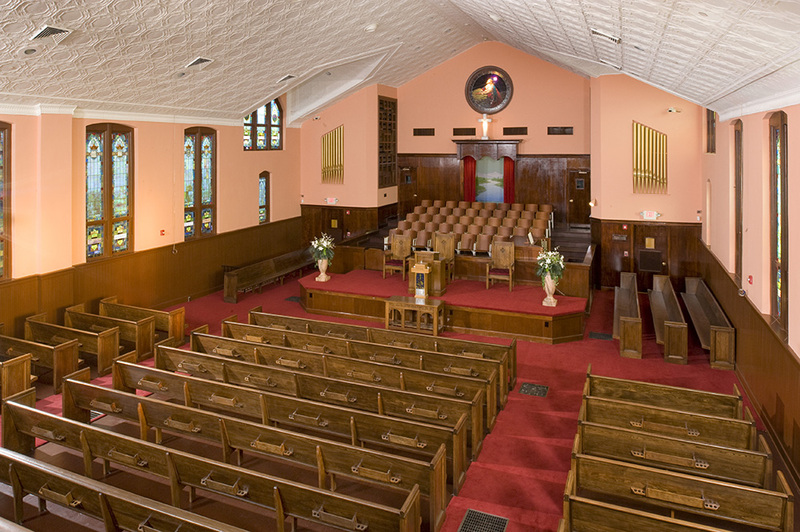 Next, swing by Ebenezer Baptist Church, where King was baptized, ordained a minister, and served as co-pastor with his father. Then, visit the King Center to view artifacts from King’s life and the crypt where he and his wife Coretta Scott King rest. Finish with a visit to the MLK Jr. World Peace Rose Garden—one of five major world peace rose gardens in the world—to enjoy an artistic interpretation of King’s ideals. Good news: All four are within walking distance of each other. We promise the views are worth the sweat and heavy breathing. Looking for a bird’s-eye view of Atlanta’s skyline? 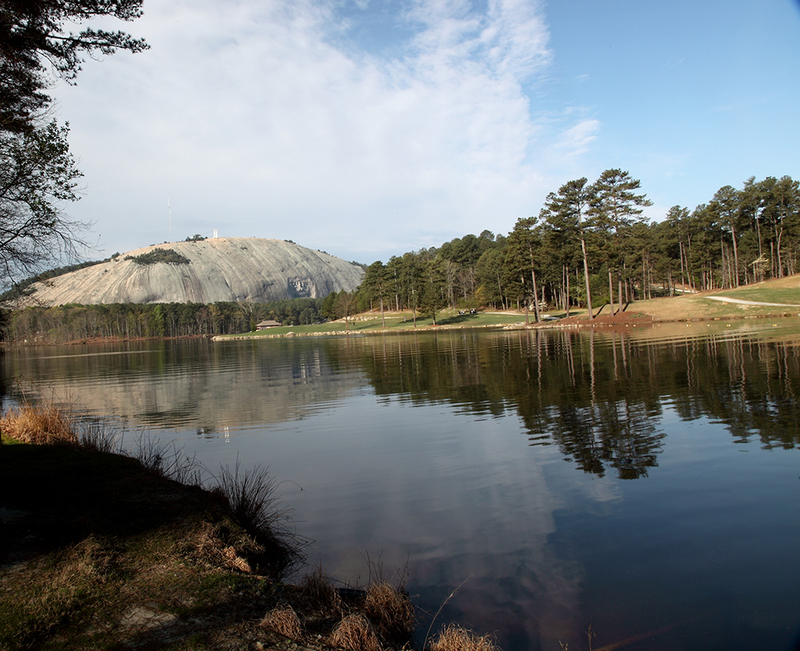 Find it 16 miles northeast of the city (a 40-minute drive from downtown) at Stone Mountain, the world’s largest piece of exposed granite and Georgia’s most popular attraction. Hike the 1-mile trail or take a high-speed cable car to the 825-foot-peak. After you enjoy the breathtaking views (if you squint, you can see the Appalachian Mountains to the north), hike back down to catch the free laser show (with music and fireworks!) projected on the side of the mountain from April to October. A $15 day parking pass will get you access to all of this and more. Pro tip: You can get in the park, which is open year-round, free on bike or foot.